It seems possible that this is the "demo" version included as a bonus track on the CD reissue of "The Wedding Album". 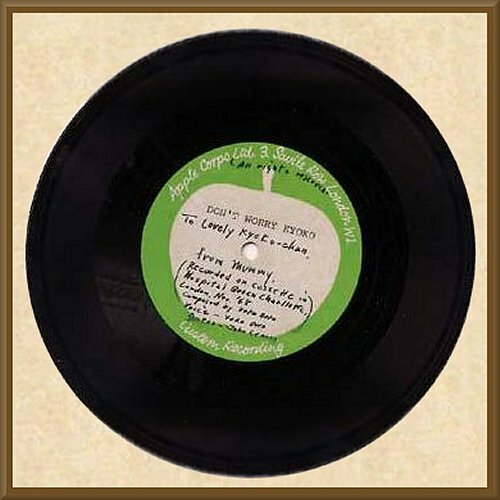 Completing a remarkable set of discoveries is an acetate of Ono's song Don't Worry Kyoko, recorded (as her handwritten annotation explains) while she was in hospital in late 1968, recovering from a miscarriage. 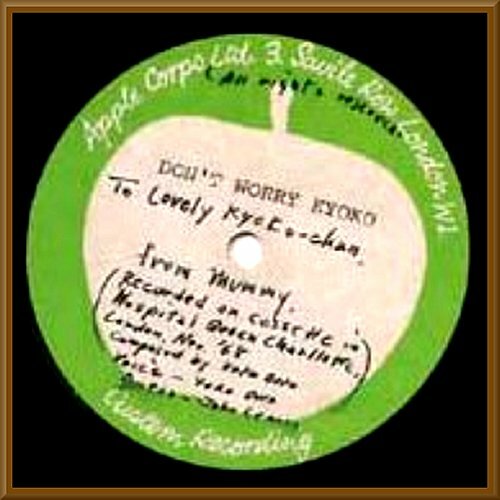 Set to a different Lennon country-blues guitar riff than he played on the finished record, this acoustic rendition was recorded solely for Kyoko's ears. 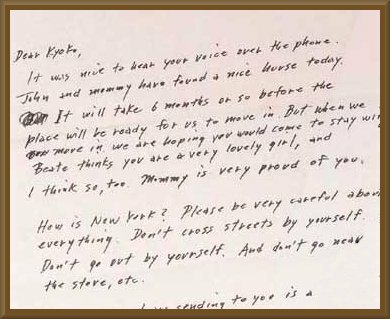 The record is accompanied by a moving letter from mother to daughter, explaining that she wrote the song to prove she hadn't forgotten Kyoko during the recent months when they had been apart. The only further info I have is that this was originally given to Yoko's daughter Kyoko. 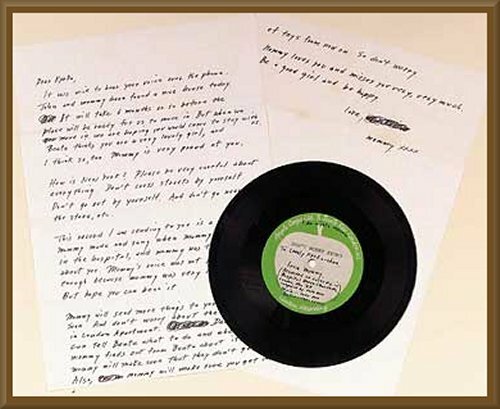 It was later sold by Tony Cox (Yoko's previous husband).